I’m now down to twelve strong and healthy tomato plants that have earned their spots out in the garden. I selected a dozen interesting tomato varieties, most of them heirlooms, to grow from seed this season. It wasn’t easy to choose among the candidates as there are hundreds of unique heirlooms to select from. Black Krim – Dark, medium sized, flavorful fruits. Caspian Pink – A large pink Russian heirloom. Sungold – One of my favorite cherry tomatoes. Pineapple – Beautiful, large, bi-colored tomato. Brandywine – An extremely popular heirloom tomato. Mortgage Lifter – Heirloom with a “rich” history. Big Rainbow – Name says it all for this Bi-colored. Hillbilly – One of the largest, can reach two pounds. Howard German – Popular in Penn Dutch country. Black Cherry – Dark colored sweet cherry tomato. Costuluto Fiorentino – Large red Italian heirloom. Blondkopchfen – A productive yellow cherry tomato. Initially two cells of a twenty-four cell seedling tray were sown with two or three seeds of each variety. If you start with fresh seed you can chance sowing a single tomato seed in each cell, but if the seed is older it’s best to plant multiple seeds in each cell to ensure adequate germination. Once the tomato seeds have germinated and start forming their first set of true leaves I begin the merciless task of judging and culling the contenders. Any seedling that is weak, lanky, slow growing, odd looking, pale colored, diseased, or displays any unfavorable characteristic has to go. As unpleasant as it may be to destroy a helpless seedling, it’s a job that has to be carried out. I use a small pair of scissors to snip out the weaker looking seedlings until only the strongest remains in each cell. That will leave twenty-four tomato seedlings to continue growing. I could have transplanted the weaker seedlings to another container, but separating the plants can be tedious and I don’t like handling them too much when they are just starting out. Using scissors to thin the tomatoes will also help to limit the chances of damaging the surviving plant or disturbing its delicate root system. A couple of weeks after the first elimination the seedlings are judged once again. Since the obvious castoffs have already been removed the final selection is tougher and based on subtle differences in appearance, gardener’s intuition, or a quick coin flip to decide which plant deserves to move on. 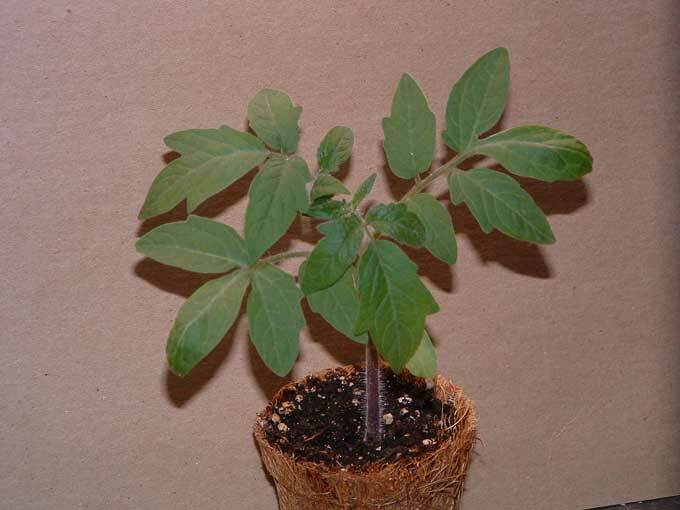 The best tomato plant of each variety is transplanted into a larger container to give it a little more room to grow and develop a fuller root system. 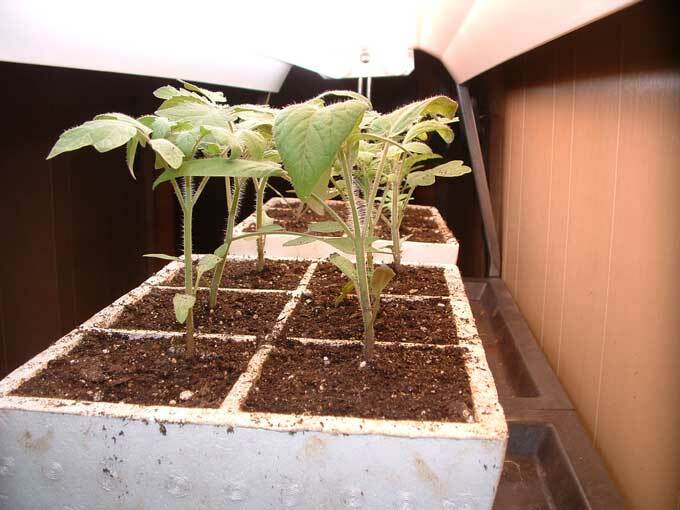 The tomato seedlings respond well to being carefully transplanted into their new growing quarters and should be set a little deeper in the soil. The victorious tomato plants also receive special pampering in the form of the choicest locations under the lights, a daily plant massage, and first priority when it comes to feeding, watering, and hardening off. All the finest care to ensure they will be vigorous and healthy when transplanted outside. After all, the garden is where the challenge will really begin and my home grown tomato seedlings will receive more competition from a few additional heirloom tomato transplants that I purchase at the Landis Valley Museum’s Herb & Garden Faire that is just around the corner.